Securing any home, let alone a highly desirable one, is getting harder and harder. The mortgage approval rate was actually up by 25% on May last year and with the government’s NewBuy scheme – now’s the time to be getting your dream home. However, it’s the low supply and huge demand that means it’s time for buyers to get tough. For every beautiful home on the market, you can be sure there will be several buyers in the running so you have to make sure you’ve done everything you can to put yourself at the front of the pack. No doubt you’ll have ‘the one’ that you really want but it’s wise to have some backup options. Doing the search could result in an even better property. Visit several properties in a single day and try to make it a weekday – estate agents are likely to have more time on their hands. Be open to the potential of a property. It’s possible that you could snap up a bargain and carry out the work to make it your dream home. You could end up spending much less than if you tried to purchase the finished article. However, keep your senses peeled for any major issues that would railroad the benefit. Can you smell damp? Is the heating system prehistoric? Is the water pressure satisfactory? All of these sticking points can lead to major expenditure. They aren’t just your friend, they’re your best friend, they’re like family. You will want to gain their confidence and show how determined – not desperate – you are to get that dream home. Part of this is to make sure you have all of your requirements and mortgage proposals ready to present to them in writing. You want to show you’re going to be highly savvy, yet easy to deal with. It’s also worth getting to know a little bit about them so you can build up a rapport. Once you’ve decided to make a bid, do so in writing. It gives weight to the offer. Ask the estate agents and the seller to take the property off the market. Get your partner or a friend to ring up and enquire about the property to double-check it’s been done. Make sure your finances are watertight before you make the offer. Have you researched all of the latest fee structures? Is your credit history in order? Have you thought about maintenance costs and buildings insurance as well as what mortgage you should get? Are you really up to date on all of the mortgage products on the market? If you really want that dream home without being stung, put yourself in the best possible position to acquire it by doing as much research into every conceivable detail. There’s an old saying – people buy from people. Meaning that people like to buy from people they like. It’s the same with selling a house – people like to sell to people they like. So make an effort, if the vendor is around, to get on with them. If they like you they are more likely to sell to you. Completely agree. Property is the ultimate people business. However, the one thing that can catapult you to the top of a vendor’s “preferred buyer” shortlist has not been mentioned. One can not underestimate the power of being a “cash buyer”. In an ideal world if you able to “sell” before you “buy” you will have strengthen your negotiating position immensely and is well worth considering. A buyer that is “chain-free” and ready to exchange is always going to give a seller pause for thought (even if their offer is lower than the competition). As usual,Amazing post !!! Easy to understand.It is really great to visit your website and read you post again and again.I have gain really deep knowledge about real estate more than earlier.You are great blogger.This is really helpful and informative post to read. 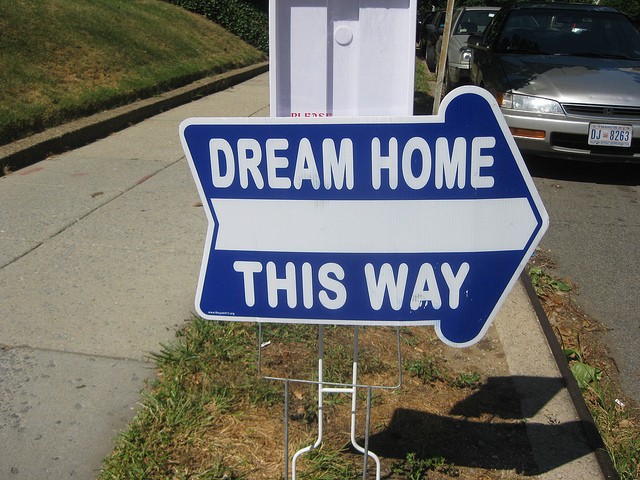 Buying a home is a big decision and requires lot of study and hard work. Great tips shared one can consider above discussed points too. Good article. Also for a first time buyer government has pretty good programs.